Accenture has completed the acquisition of Germany-based Mackevision, a leading global producer of 3D-enabled and immersive product content. The acquisition was first announced on January 10 and will add state-of-the-art visualization capabilities to Accenture Interactive’s digital services portfolio – strengthening its ability to create compelling, next-generation customer experiences and industrial, extended reality applications. Terms of the transaction are not being disclosed. Mackevision’s creation, visualization and production services are used for online product configurators, digital and print catalogues, virtual showrooms, point-of-sale kiosks and augmented and virtual reality experiences, as well as broadcast video and feature films. Mackevision has developed a differentiated ability to leverage engineering data to construct ‘digital twins’ of complex physical products. 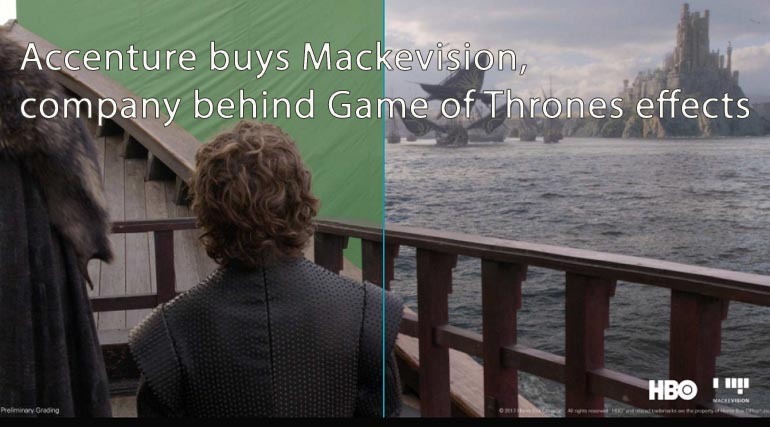 By applying the latest techniques in CGI, visual effects and AR/VR, Mackevision can generate nearly any type of visual content from these twins – effectively turning engineering data into truly immersive product experiences and virtual applications.